Graphic There are 78 products. 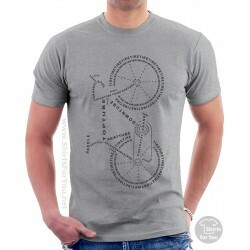 Bicycle Anatomy T Shirt High quality soft cotton t-shirt. Great colors. High quality of printing. Please check the description or the last photo for the right size for you! Maori Tuna Unisex T-Shirt, Maori Tuna Tattoo T Shirt UNISEX ROUND COLLAR T-SHIRT - CLASSIC STYLE150 JERSEY. 100% semi-combed cotton.Reinforcing tape at neck, elastane rib collar.High quality soft cotton t-shirt. Great colors. High quality of printing. Please check the description or the last photo for the right size for you! Maori Turtle Unisex T-Shirt, Maori Turtle Tattoo T Shirt UNISEX ROUND COLLAR T-SHIRT - CLASSIC STYLE150 JERSEY. 100% semi-combed cotton.Reinforcing tape at neck, elastane rib collar.High quality soft cotton t-shirt. Great colors. High quality of printing. Please check the description or the last photo for the right size for you! Sugar Tiki Kokopelli Unisex T-Shirt, Sugar Tiki Kokopelli Tattoo T Shirt UNISEX ROUND COLLAR T-SHIRT - CLASSIC STYLE150 JERSEY. 100% semi-combed cotton.Reinforcing tape at neck, elastane rib collar.High quality soft cotton t-shirt. Great colors. High quality of printing. Please check the description or the last photo for the right size for you! Rugby Tiki Unisex T-Shirt, Rugby Tiki Tattoo T Shirt UNISEX ROUND COLLAR T-SHIRT - CLASSIC STYLE150 JERSEY. 100% semi-combed cotton.Reinforcing tape at neck, elastane rib collar.High quality soft cotton t-shirt. Great colors. High quality of printing. Please check the description or the last photo for the right size for you! Polynesian Frog Unisex T-Shirt, Polynesian Frog Tattoo T Shirt UNISEX ROUND COLLAR T-SHIRT - CLASSIC STYLE150 JERSEY. 100% semi-combed cotton.Reinforcing tape at neck, elastane rib collar.High quality soft cotton t-shirt. Great colors. High quality of printing. Please check the description or the last photo for the right size for you! Maori Wolf Unisex T-Shirt, Maori Wolf Tattoo T Shirt UNISEX ROUND COLLAR T-SHIRT - CLASSIC STYLE150 JERSEY. 100% semi-combed cotton.Reinforcing tape at neck, elastane rib collar.High quality soft cotton t-shirt. Great colors. High quality of printing. Please check the description or the last photo for the right size for you! Maori Sun Moon Unisex T-Shirt, Maori Sun Moon Tattoo T Shirt UNISEX ROUND COLLAR T-SHIRT - CLASSIC STYLE150 JERSEY. 100% semi-combed cotton.Reinforcing tape at neck, elastane rib collar.High quality soft cotton t-shirt. Great colors. High quality of printing. Please check the description or the last photo for the right size for you! Maori Sun Eagle Unisex T-Shirt, Maori Sun Eagle Tattoo T Shirt UNISEX ROUND COLLAR T-SHIRT - CLASSIC STYLE150 JERSEY. 100% semi-combed cotton.Reinforcing tape at neck, elastane rib collar.High quality soft cotton t-shirt. Great colors. High quality of printing. Please check the description or the last photo for the right size for you! Maori Scorpion Unisex T-Shirt, Maori Scorpion Tattoo T Shirt UNISEX ROUND COLLAR T-SHIRT - CLASSIC STYLE150 JERSEY. 100% semi-combed cotton.Reinforcing tape at neck, elastane rib collar.High quality soft cotton t-shirt. Great colors. High quality of printing. Please check the description or the last photo for the right size for you! Maori Phoenix Unisex T-Shirt, Maori Phoenix Tattoo T Shirt UNISEX ROUND COLLAR T-SHIRT - CLASSIC STYLE150 JERSEY. 100% semi-combed cotton.Reinforcing tape at neck, elastane rib collar.High quality soft cotton t-shirt. Great colors. High quality of printing. Please check the description or the last photo for the right size for you! Maori Mouse Unisex T-Shirt, Maori Mouse Tattoo T Shirt UNISEX ROUND COLLAR T-SHIRT - CLASSIC STYLE150 JERSEY. 100% semi-combed cotton.Reinforcing tape at neck, elastane rib collar.High quality soft cotton t-shirt. Great colors. High quality of printing. Please check the description or the last photo for the right size for you!